Where Can I Hunt Mushrooms? This is the third most common question that we at the Ohio Mushroom Society receive, right after “What kind of mushroom is this?” and “Can I eat it?”. These are all very good questions, but often the answers are not simple. 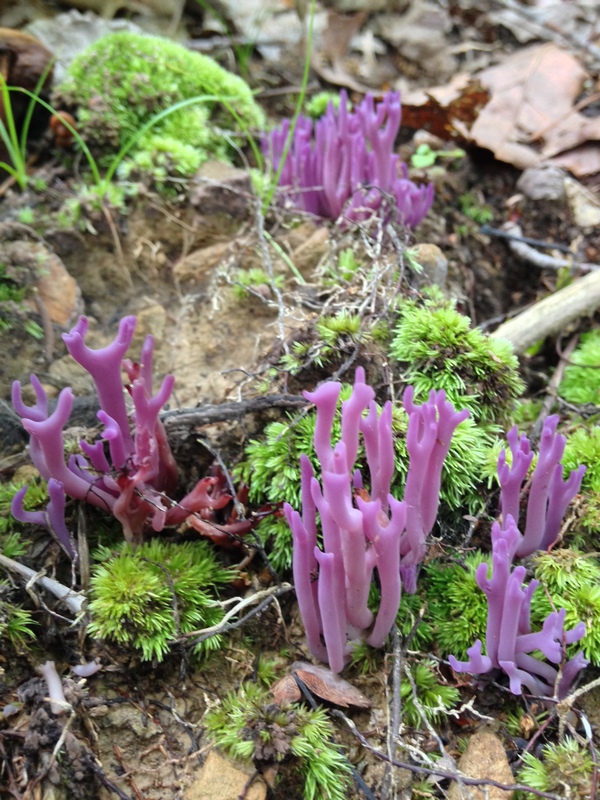 Regarding foraging places, OMS volunteers work very hard to establish good relationships with public and private landholding institutions, and private landowners. Some of these relationships take years to mature to the point where we are allowed to conduct a one-time, or even periodic forays, in exchange for the knowledge of species diversity that the landowners gain regarding their properties. This trust can be instantly broken by rogue individuals using these properties as their “own” mushroom spot. Imagine a motorist with a flat tire stuck in front of your house. Decent human being that you are, you ask if you can help. They have a spare, but no jack and no tools in the trunk. Of course, you open your garage and allow them to borrow yours. Now, how would you feel the next time you are barbecuing in the back yard, hear clanging and rustling in your garage, and after investigating, see the same individual helping themself to your tools to change their oil?! So, Rule Number One of mushroom hunting is NO POACHING. Please forage ONLY on properties where you currently have permission. If you decide to take a risk and poach anyway, you DO NOT have permission from the Ohio Mushroom Society. You DO NOT “know” any of our board members, or previous foray hosts. Can you believe that a couple individuals, when confronted on private property, actually had the nerve to name-drop on an innocent gentleman who gave his personal time to provide an interesting and informative cultivation program to our members?! This type of behavior will get you banned from the OMS. What’s the harm? There’s plenty for everyone!! I’m not cutting down the “tree”, just harvesting some “fruit”. If you are convinced that your actions are sustainable and that your activities do no harm, then do what we do and approach the landowner honestly and ask for permission. Provide your reasoning. Give them your name and contact information, and sign a waiver if asked. So where can you hunt mushrooms without asking first? In Ohio, the answers are our State Forests (“State Forest” is part of the property name), the Wayne National Forest, and our State Wildlife Management Areas (“WMA” is part of the property name). Where can you likely hunt, with advance permission? 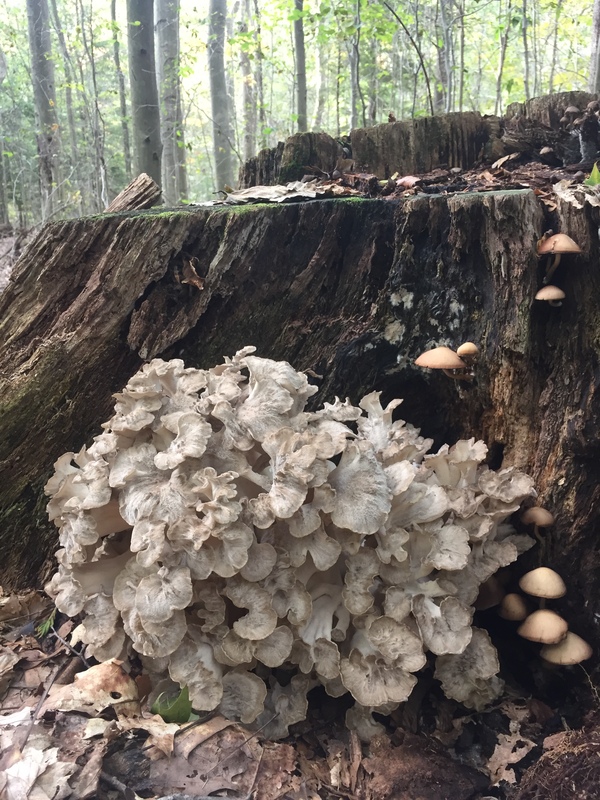 Our Ohio State Parks (many, but not all, allow hunting, foraging for mushrooms, berry picking, etc. ); your local city park; and cemeteries (the older and more derelict the better!). Simply call first. 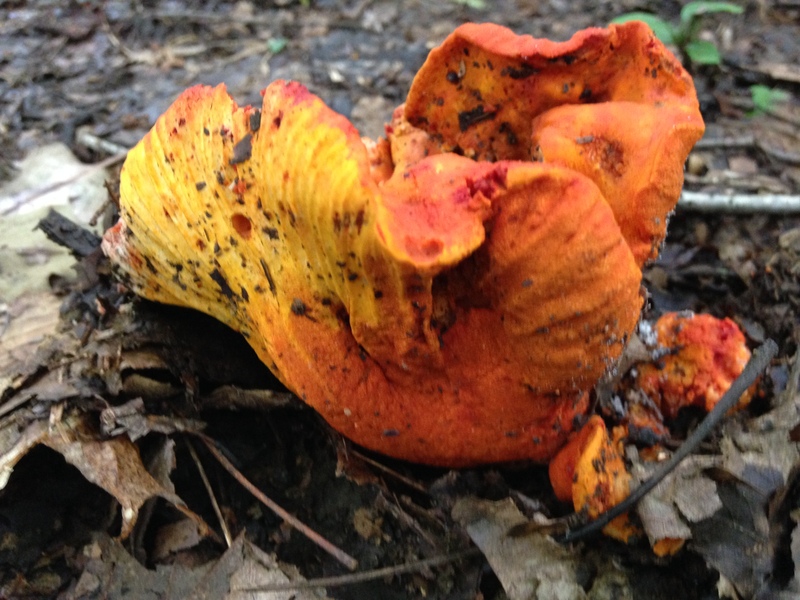 Collecting mushrooms and other living things is FORBIDDEN in the Cuyahoga Valley National Park; regional park districts (such as Cleveland Metroparks, Lake Metroparks, Summit MetroParks, Geauga Park District, etc. ); Ohio State Nature Preserves (“Nature Preserve” is part of the property name); private residential camps and retreat centers (such as Camp Asbury and Boy Scout/Girl Scout camps), private Arboreta (Holden, Dawes, etc. ); and University properties (such as Squire Valleevue and Valley Ridge Farms). Why does it have to be this way? Ohio is 44th in the nation with just 4.2 percent of our land in the public domain; 95.8 percent is all private property. Public land includes highway right-of-ways! So our tiny public properties hosting millions of visitors each year can’t possibly sustain all of our wants for free food, free landscaping rocks, free pets, or free flowers. And private landowners have a right to maintain the resources on their properties for themselves or their paying guests/clients/students. They have a right to protect themselves from lawsuits by people falling down their hillside, or drowning in their lakes. So please, ask first. Help us keep OMS a respected organization. When we all act to keep our actions sustainable, we will continue to be welcomed. Thanks!! Enjoy these great photos contributed by Alicia Marie Beattie! Thank you Alicia! 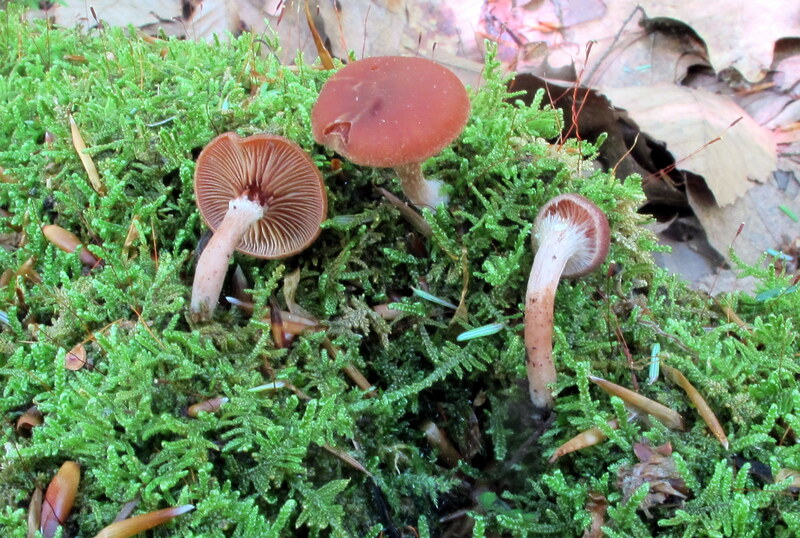 Welcome to the Winter installment of Mushrooms of the Month. 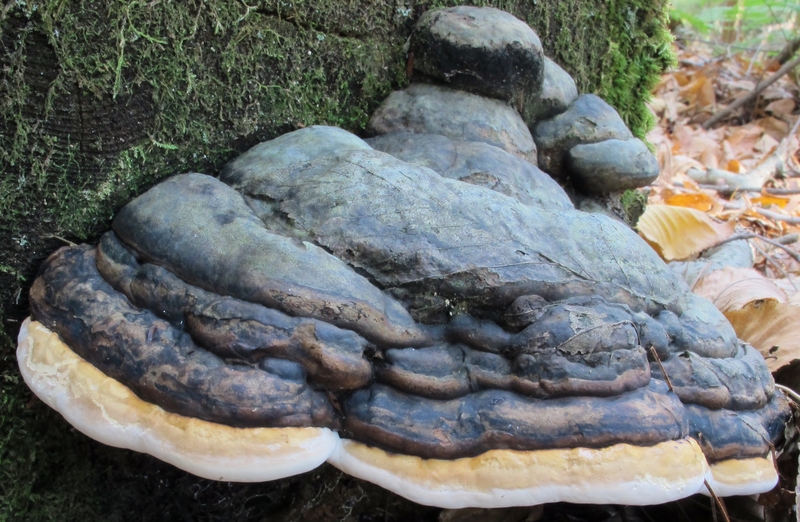 If you are interested in contributing to the mushrooms of the month please contact the web master using the contact form and he will provide you with submission information. As 2016 careens out of control toward a skidding stop, I’m drawn to the peaceful memories in my mind of golden afternoons in the woods, inhaling the scent of leaves and fungi. I recall conversations that caused me to laugh out loud as I foraged with friends-seen-far-too-little. There was also the time when sunlight baked the woods, and it seemed the only moisture around was beading up on my forehead. 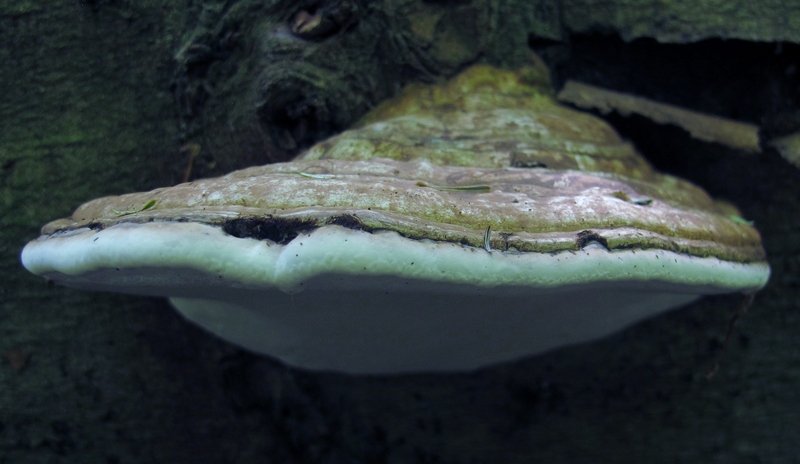 Each mushroom found that day was a little miracle, confirmation of nature’s persistence and adaptation to microhabitats. enjoyment in the new year. I hope that you choose to continue your Ohio Mushroom Society membership. Except for Life Members, everyone’s membership expires on December 31, so why not renew today? Also, your all-volunteer board members will be convening in February to plan this year’s forays and initiatives. Do you have ideas for us? Places that you think would be good foray locations? Guest speakers you’d like us to consider? Would you like to write a far better blog than this one (easy for you, I’m certain!)? Contact us by by simply hitting “Contact” on the black navigation bar on this page. We’d love to hear from you and have your input! I wish you a fungi-filled New Year! 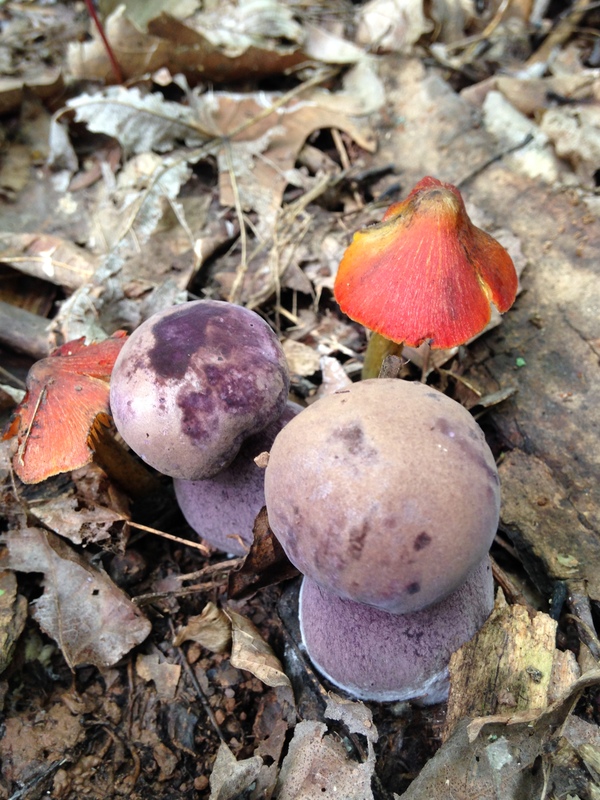 Welcome to the September installment of Mushrooms of the Month. 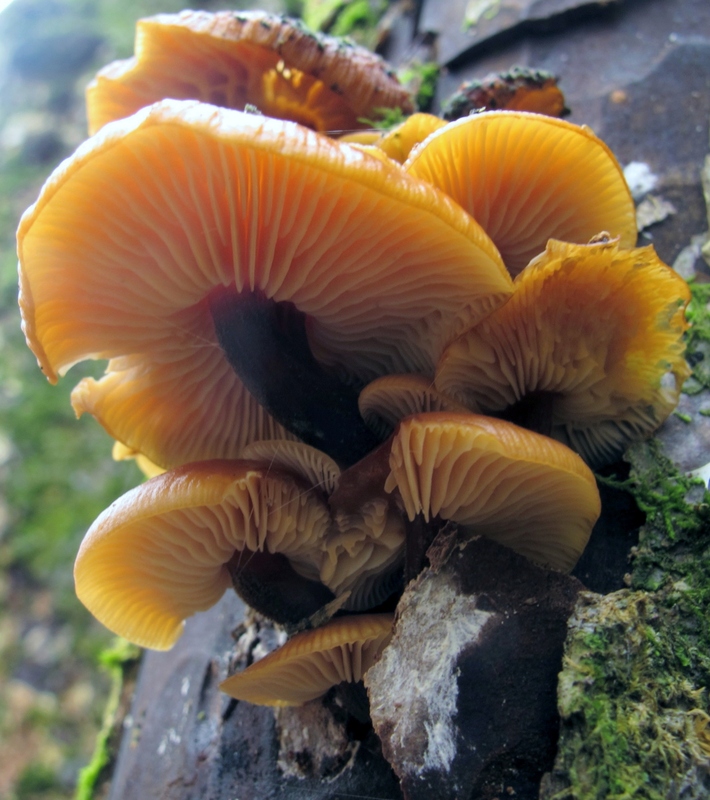 If you are interested in contributing to the mushrooms of the month please contact the web master using the contact form and she will provide you with submission information. It’s May, and in southeastern Ohio the spring wildflower and morel season has progressed at an unusual pace. Flowers that were in bloom May 1 last year, bloomed on April 1 this year. 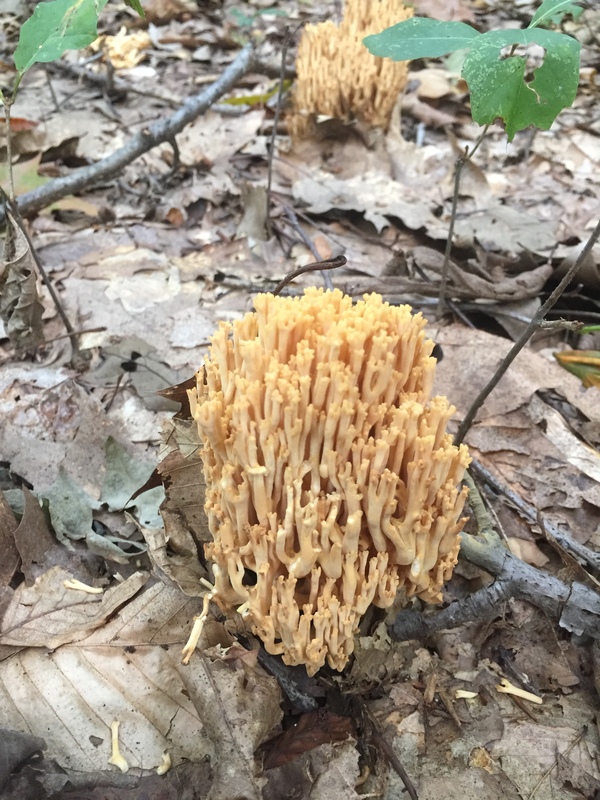 Although I heard reports of a few early morels, most in this area were found in mid to late April despite the 80 degree daytime temperatures. It seemed there was a window of a day or two after a rain before the unseasonal heat dried out the mushrooms where they stood. So perhaps, like me, you haven’t had much luck finding mushrooms in good condition so far this season. And you may be asking yourself what’s next. Do not be discouraged! For those in the know about mushrooms, the great times for finding mushrooms are still ahead! Although morels are among the mushrooms that are relatively easy to identify, they represent only a few different species. 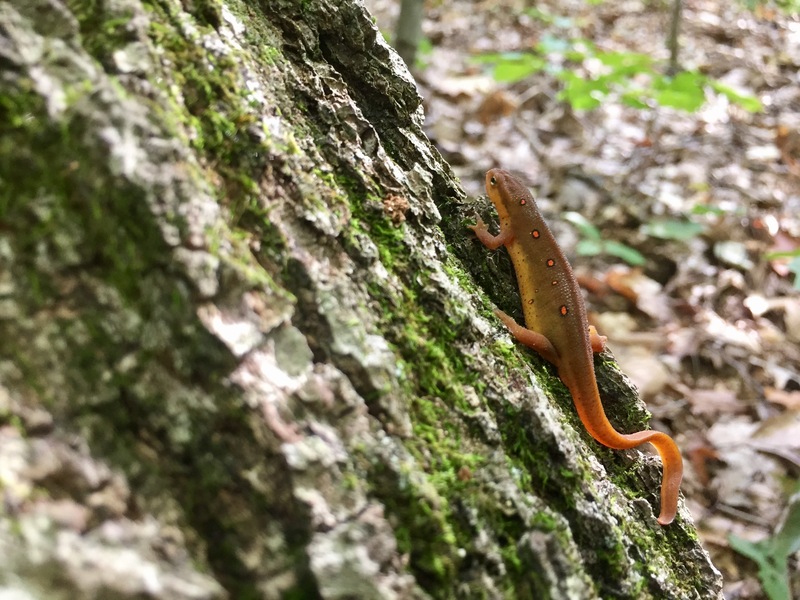 As summer and fall progress, there will be hundreds of other species popping up in our fields and forests. If you have not learned to recognize many different species, now is the time to join your local mushroom society. 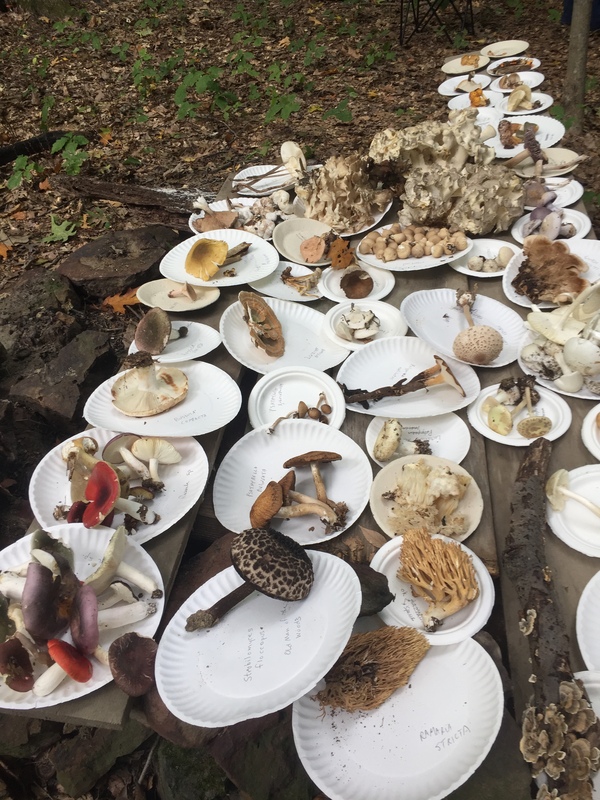 Whether your interest in mushrooms is in photography, art, dyeing fibers, scientific study, love of nature, or collecting edibles, you can learn more from those who share your interests in the Ohio Mushroom Society. 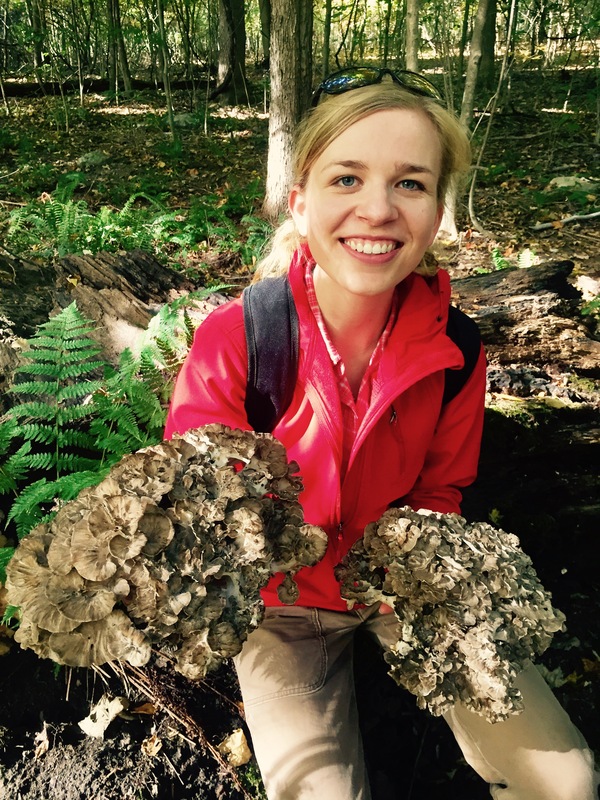 And don’t forget that registration for the North American Mycological Association fall foray will open in May. This meeting will be in Virginia this year (close enough for Ohioans to carpool.) In my mind, clearly the best way to learn to recognize new species is to have someone who knows them show them to you and explain how they know. Many of our modern field guides to mushrooms have excellent pictures, and some have good keys. But I would not presume to be certain of a mushroom identification (especially certain enough to consume a mushroom) without a spore print and confirmation from an experienced mushroom identifier. When you do find mushrooms in good condition this year, following a few simple guidelines will help to promote the growth of mushrooms in years to come. Collect your specimens carefully. Be sure to unearth the whole specimen so that you can see all of its features, but don’t dig around the mushroom any more than is necessary. Remember that the underground (or inside wood and other substrates) mycelium is the main part of the mushroom that persists from year to year. Also be careful not to trample or otherwise disturb the mycelium unnecessarily. Take pictures and notes about the mushrooms in their natural state. Take note of other members of the ecology. 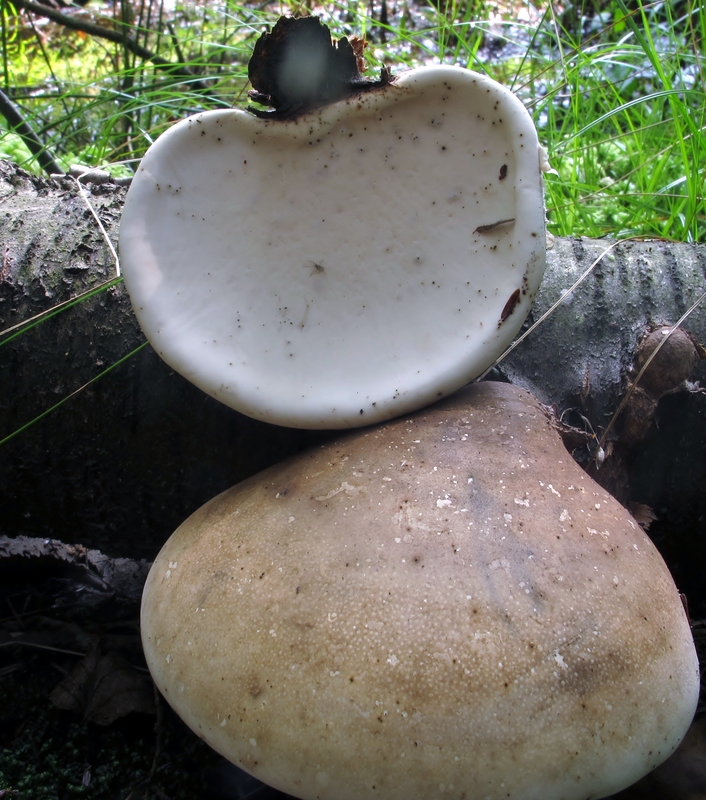 It is important to know what other organisms share the mushrooms’ habitat. 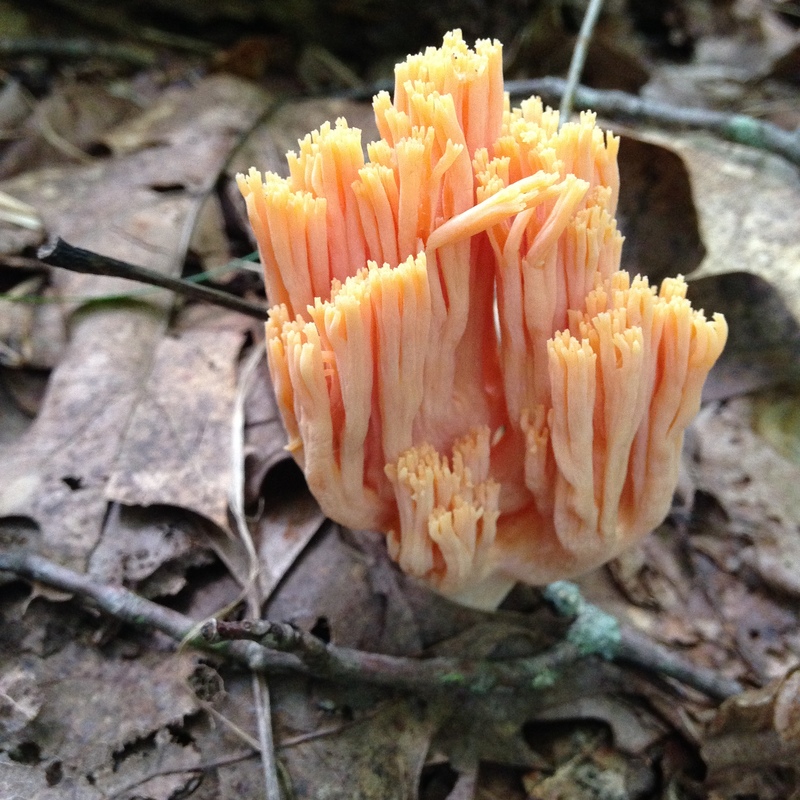 This can help you learn more about how the mushrooms live, and can help you to identify them. Don’t collect all of the specimens at a site. Leave some to spread spores and to feed other members of the natural community. Don’t collect more than you will actually use. Use a basket or other sturdy container for collection so that the mushrooms will not be crushed. Use paper bags (or waxed paper) to separate different species. Make a spore print for each species, and refrigerate the rest of the mushrooms until you are ready to identify and use them. Place any parts left over back in the natural environment. Try to put them in an environment similar to the one where you found them. That said, I hope to see you at the upcoming Summer Foray at Ohio University! Last year we had an amazing number and diversity of mushrooms here. Please see details by clicking the Events tab at the top of the page, and by clicking on the newsletter link for May/June 2016 to the right under recent posts. 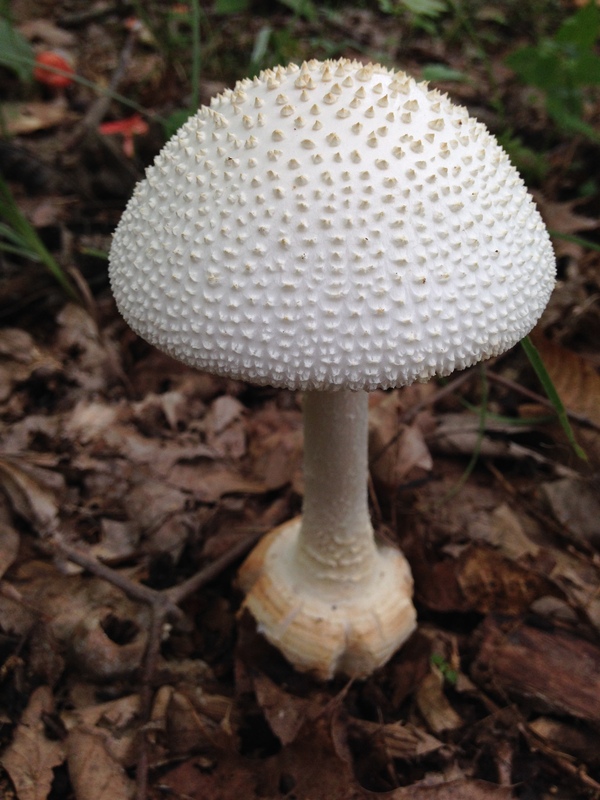 Welcome to the May installment of Mushrooms of the Month. If you are interested in contributing to the mushrooms of the month please contact the web master using the contact form. 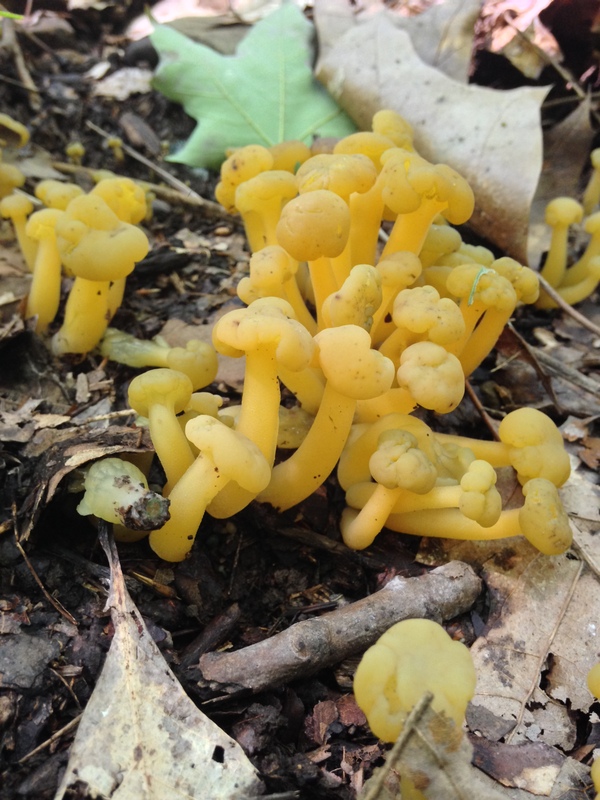 Welcome to the April installment of Mushrooms of the Month. 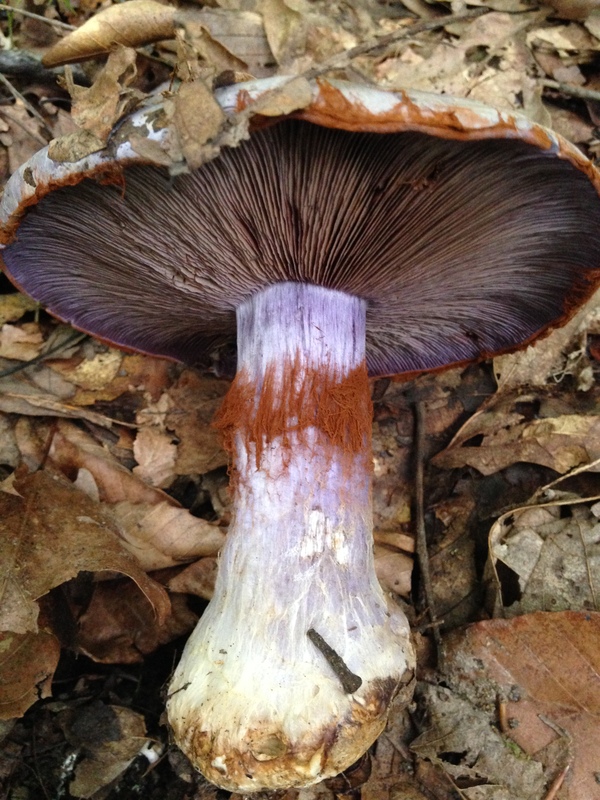 If you are interested in contributing to the mushrooms of the month please contact the web master using the contact form and he will provide you with submission information.